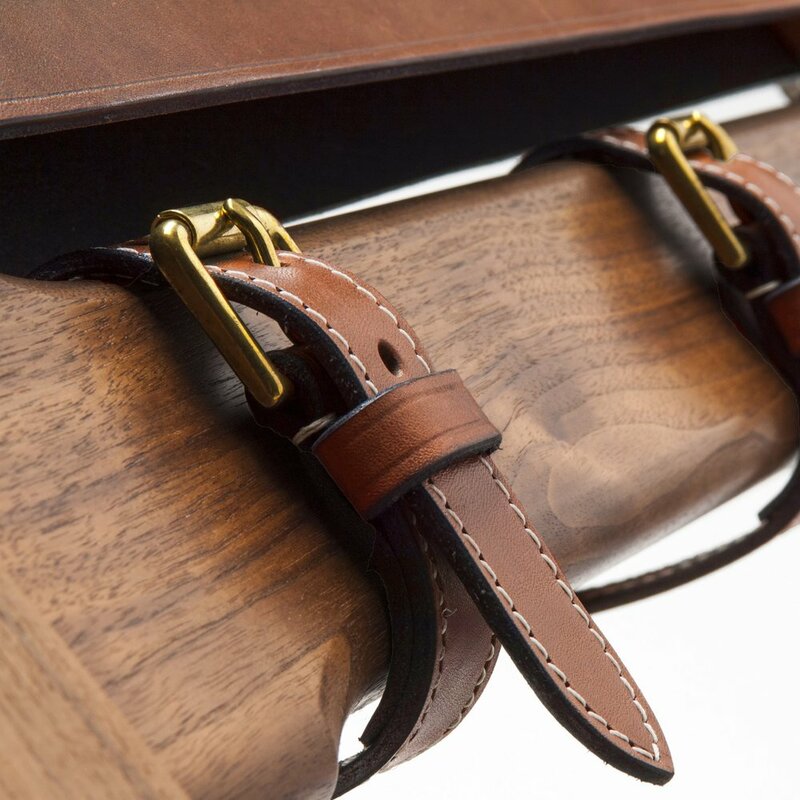 The handsome Saddle Up showcases the skill of our master saddler, with the stitching and solid brass buckles echoing the detail of riding gear. 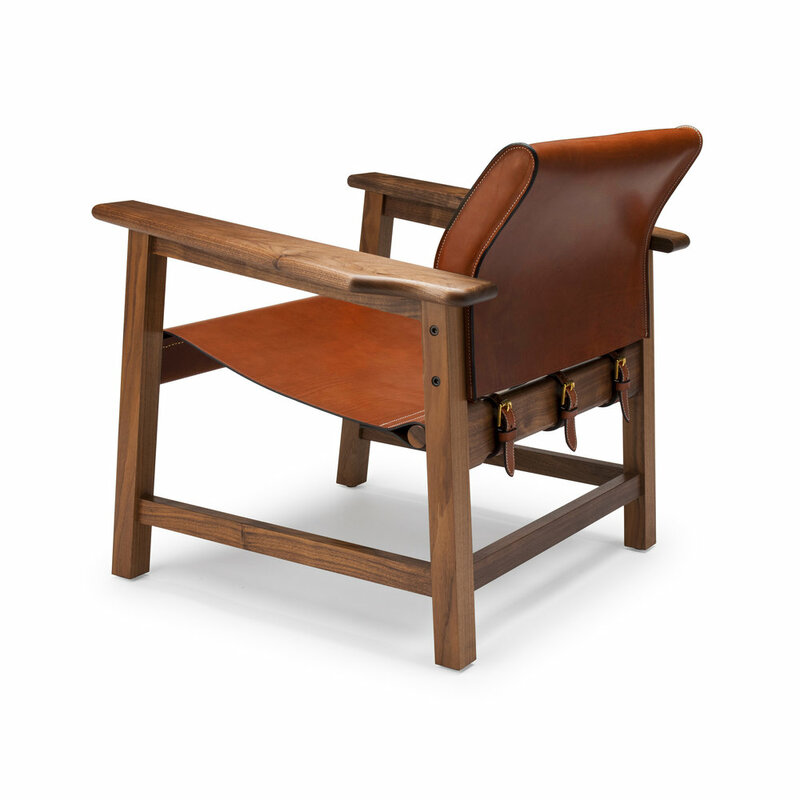 Shown here: in natural oiled walnut with tan saddle leather seat and back, featuring solid brass harness buckles and contrast stitching. Construction: handmade from solid timber sourced from our local mill featuring a shoulder hide seat and back. The hide is crafted by hand, edge striped, dyed and creased.